Each client and garden is unique. Although most situations require a full landscape design and construction, others may only require broad concepts or a planting plan. We address the differing extent of design assistance required by clients by quoting each project individually. This initial stage of engagement is a site visit and discussion with the client to understand the scope of the work, clarify requirements, discuss broad concepts and understand budget and constraints. The output is a client brief which is the key input for developing a full landscape plan. 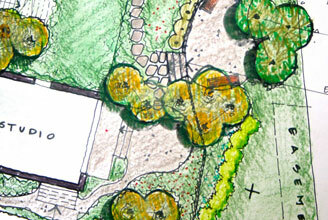 Through a consultative process, this stage involves designing the new garden to meet the brief. Typically it comprises an initial concept design, discussion of one or more concepts with the client and final concept plan. 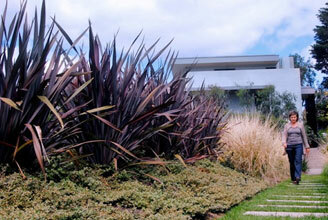 This depicts the garden structure, landscaping materials and planting themes. 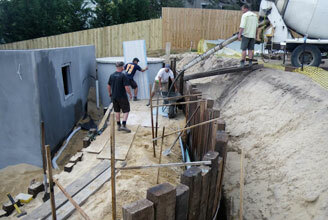 At this stage we are able to provide a quotation for construction. When this is finalised, a detailed planting plan is provided. 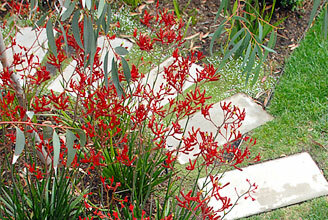 David Swann Landscape Construction works exclusively on Fiona Brockhoff designed gardens. The experience gained across many projects of working together enables an efficient and productive working relationship. During construction, David’s team and Fiona work very closely to ensure a very high quality of finish. If a client wishes to use another landscaper, this stage will involve construction oversight to contribute to a successful outcome. This may include organising landscape construction quotes, overseeing landscape set out and sourcing materials and plants. Ongoing and appropriate maintenance is as important as the design itself. Maintenance services can be recommended for Melbourne and Mornington Peninsula areas and maintenance supervision provided. Contact us to enquire about how we can best help you.